Frances Berrigan Service Details - Franklin, New Jersey | F. John Ramsey Funeral Home, Ferguson Funeral Home Inc, Ferguson-Vernon Funeral Home, Inc.
Ogdensburg, NJ: Frances Berrigan(nee Piniaha), 87 years old, died unexpectedly at Morristown Medical Center on Friday, September 21, 2018. Born to Michael and Mary Piniaha in Franklin, NJ, she has been a resident of Ogdensburg since 1957. Frances was a parishioner of St. Thomas of Aquin RC Church, Ogdensburg, NJ. 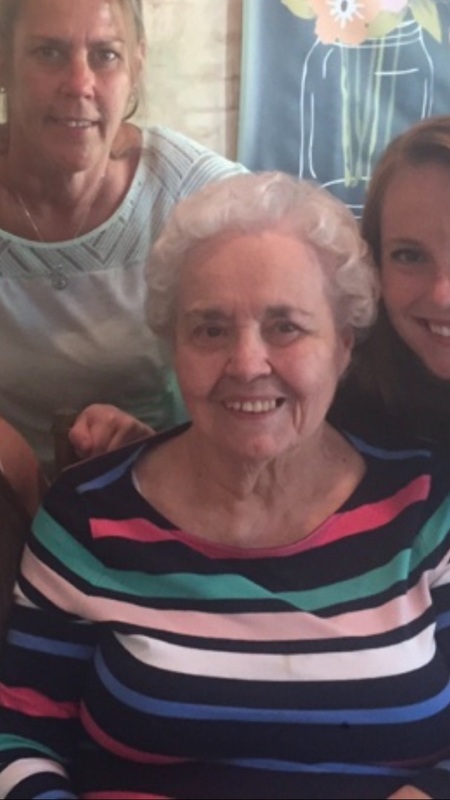 She was a loving wife, mother, grandmother and great grandmother. Frances is predeceased by her husband, Paul J. Berrigan(1994) and six siblings, Mary, Kay, Stephanie, Steve, Julia and Annie and is the devoted mother of Paul Michael Berrigan and his wife, Angie of Clarksville, TN, Kathleen M. Schwander and her husband, Kevin of Wantage Twp., NJ, Maureen Kays and her husband, Roger of Sparta, NJ, Michael Berrigan and Thomas Berrigan of Ogdensburg, NJ. Loving grandmother of Kyle, Kim, Kurt, Kayla, Ashleigh, Jessica and K.C. Cherished great grandmother of Gabriella, Giovanni and Rocco. Also survived by many nieces and nephews. The family will receive their friends at F. John Ramsey Funeral Home, One Main Street, Franklin, NJ on Monday, September 24, 2018 from 6-9 PM. Funeral from the funeral home on Tuesday, September 25, 2018 at 10 AM. Mass of Christian Burial at St. Thomas of Aquin RC Church, Ogdensburg, NJ at 11 AM. Interment to follow at St. Thomas Cemetery, Ogdensburg, NJ. Our condolences to the family and friends.We are truly sorry for your loss. However, it is so comforting to know that God will soon restore perfect life to all those in his memory. John 5:28,29 . May our Heavenly Father ,the God of all comfort , grant you the mental peace you need during this difficult time.